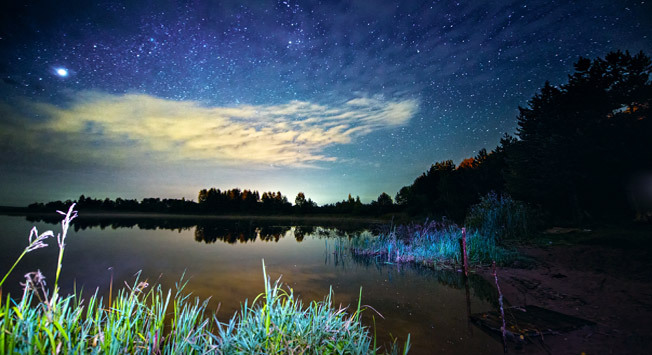 Lake Seliger, located approximately 400 kilometers from Moscow, is an ideal place to get away from the hectic city, relax in nature, and regain spiritual balance. Nestled between the Tver and Novgorod Oblasts, Lake Seliger – one of the largest lakes in Russia – was formed by a glacier. Its total area comprises 260 km2, but its coastline is more than 500 km long. In order to fully enjoy the surrounding beauty and take your time exploring the small, charming lakeside towns, you should plan to spend at least five to six days in the area. Ostashkov is the central city of the region. The city can be reached from Moscow by overnight train, but it is certainly more interesting to travel by car. There are several routes, therefore you can choose the optimal one for yourself: by the Baltic Highway (through Volokolamsk – Shakhovskaya – Zubtsov – Rzhev – Selizharovo) or by the Leningrad Highway (through Tver, Torzhok, Kuvshinovo). Time spent on the road, which is approximately five hours not including Moscow traffic, passes surprisingly quickly. In any case, whichever route you choose to travel on, every city you pass through will have something interesting to explore. The majestic Volga River is particularly striking, which you can admire from the Rzhev region. Upon reaching Ostashkov, you should know whether you would like to stay in the city itself or if you would find it more interesting to stay outside the city. In this respect, there is a wide choice: you can spend the night in a hotel or a pension, rent a house or camp on the lakeside. If you are traveling with a large group, it may be more comfortable to rent a house or, if you are adventurous, live in a tent (then you will be able to enjoy nature and the beauty of the surroundings). Ostashkov’s history originates in the 14th century. You’ll find old architectural structures, which include strikingly beautiful manors, native Russian wooden houses decorated with multicolored tiles, old churches, and even a theater, one of the first in the Russian empire open to the general public. But what really attracts visitors to the region – not only from Moscow, but also from St. Petersburg, Veliky Novgorod, and even Murmansk – is the stunning beauty of the local environment: the abundance of green forests, and of course, the lake. Lake Seliger is genuinely massive: sitting on a large, sandy beach or strolling alongside the waterfront, you’ll hardly be able to see the opposite shore. Fans of outdoor activities will definitely find something to do: in the vicinity of the city one can hunt, fish, horseback ride, rent a speedboat, rock climb, and even windsurf – in the city of Selizharovo there is a camp divided specifically for windsurfing aficionados. Regardless of whether you choose to actively spend your vacation or want to leisurely relax, Seliger is an excellent choice. If you are staying within Ostashkov city, you will not have any trouble finding food – every year during the summer season in the city, there are a large number of cafes, in which you can safely and easily eat. If you decide to camp in tents, you can easily purchase all necessary produce from stores or at the market. Be sure to try the smoked fish that local fisherman sell! Shirkov Churchyard (monument of wooden architecture listed in the World Heritage List).